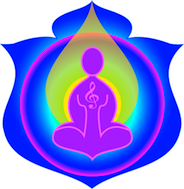 The Deserving sounds are a powerful set of sounds which are suitable for many applications of assisting the physical, mental, spiritual and emotional levels of our health. Often the issues of being deserving or not deserving have been passed on down the Genetic Ancestral line from the many levels of Ancestors who have gone before us, and relate to how we see ourselves, especially in family situations. The Deserving sounds like many of the Sounds from Source sounds have been developed because of requests from clients. In this instance a young and very talented client who when offered “paid work” in her chosen arts of stage and song, would always manage to turn it down for an “unpaid” role as she felt that she was not deserving of a “paid” role. Having spent a memorable evening in a very uncomfortable seat in a tiny and very ancient theatre on the last night of the performances in the company of good friends who I had “convinced” to come along, and listen to this lady perform, I know just how deserving she is of a “paid role”. The highlight from this evening was a call from my client the next day to say she had looked out into the audience of maximum 300 people and had seen me there and that had given her the belief that she was indeed deserving, and that not only had the sounds worked, but also my belief in her by being there to support her. My only regret was that it had been the last night of the show as I would have happily gone to see it again. Comment from Susan – This sound is one that perhaps we can all relate to, in some way. This is a core foundational sound which I play for students in the Abundance and Prosperity course. It is one, that may be played many times for a client as they progress through different issues and barriers. Someone once said to me years ago that deserving and unworthiness seem to endemic to the human race. Certainly I have found that most clients have this sound come up at some time or another. A lot of us are very hard on ourselves, we can be positive and uplifting for others, but tend to experts in self flagellation. I have found that if you require deserving, most likely the sound unworthiness is also required. ​A bit of gentleness and understanding to ourselves never goes astray. A 'lite' version of this sound is also available in our membership program for those who want to work on themselves but not enrol in a practitioner course. Combinations of use with other soundsSelf Acceptance, Motivation, Releasing Limitations, Freedom, Releasing Blockages.